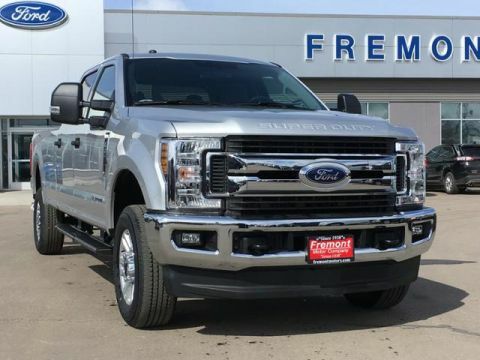 Only 1 King Ranch 4WD Crew Cab 8' Box model left in stock! 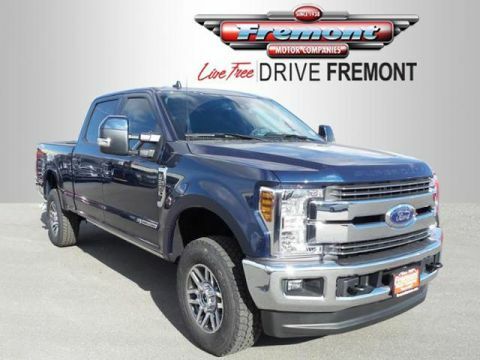 Nav System, Heated Leather Seats, BLUE JEANS METALLIC. 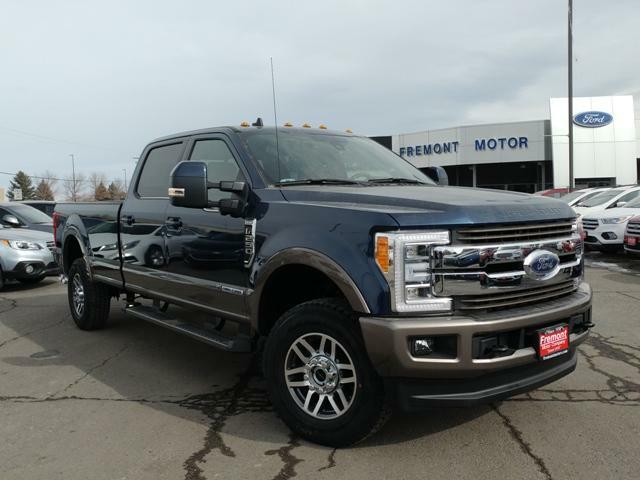 Blue Jeans Metallic with Stone Gray exterior and Java interior, King Ranch trim. CLICK ME! 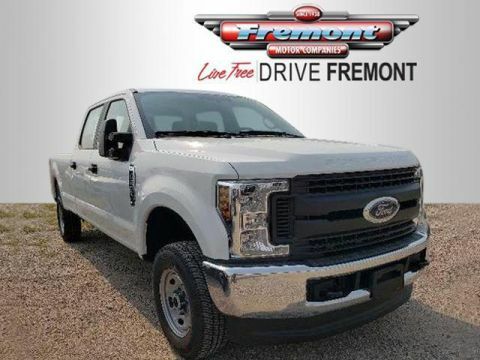 Navigation, 4x4, Running Boards, Premium Sound System, Satellite Radio, iPod/MP3 Input, Onboard Communications System, Aluminum Wheels, Remote Engine Start, Dual Zone A/C, Smart Device Integration, WiFi Hotspot. MP3 Player, Keyless Entry, Privacy Glass, Steering Wheel Controls, Heated Mirrors. 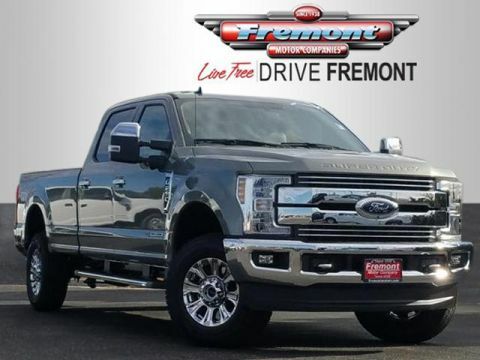 ENGINE: 6.7L 4V OHV POWER STROKE V8 TURBO DIESEL B20: manual push-button engine-exhaust braking and intelligent oil-life monitor, Extra Heavy-Duty 220 Amp Alternator, 3.31 Axle Ratio, Dual 78-AH 750 CCA Batteries, 48 Gallon Fuel Tank, QUAD BEAM LED HEADLAMPS & LED TAILLAMPS: LED fog lamps and LED Center High-Mounted Stop Lamp (CHMSL), ULTIMATE TRAILER TOW CAMERA SYSTEM 360 degree camera system and trailer reverse guidance, Display appears in center-stack screen, NOTE: Does not include customer placed trailer camera, Rear CHMSL Camera Display in center stack screen, LED Center High-Mounted Stop Lamp (CHMSL) w/cargo light and rear video camera, ULTIMATE TRAILER TOW CAMERA SYSTEM: 360 degree camera system and trailer reverse guidance, Display appears in center-stack screen, NOTE: Does not include customer placed trailer camera, Rear CHMSL Camera Display in center stack screen, LED Center High-Mounted Stop Lamp (CHMSL) w/cargo light and rear video camera, BLIND SPOT INFORMATION SYSTEM (BLIS): cross-traffic alert and trailer tow (BLIS sensor in taillamp), 5TH WHEEL/GOOSENECK HITCH PREP PACKAGE: 5 pickup bed attachment points w/plugs, 1 frame under-bed cross member and 1 integrated 7-pin connector on driver's side pickup bed wall This vehicle comes with Fremont Care.